Special education services often suffer after incidents of school violence. Here’s why that’s a problem. 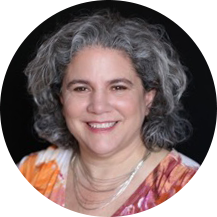 EDC’s Lauren Katzman has been a longtime advocate of inclusive special education practices, most recently in her role as executive director of the Urban Special Education Leadership Collaborative at EDC. But in the wake of a school shooting, Katzman says, districts often feel pressure to drop inclusive practices in favor of exclusionary and harsh disciplinary practices, such as suspensions. Here, she offers her perspective on how inclusive practices actually lead to safer schools. Q. You have spent your career advocating for inclusive practices for students with disabilities. Why are these practices important? Katzman: Inclusive practices start with the assumption that all students belong in the general education classroom. In cases where a student needs extra services to address a barrier brought on by a disability, an inclusive school will design instructional supports and services that both meet that student’s needs and keep him or her in the classroom as much as possible. Inclusive schools view special education as a service, not a place. Whatever supports and services there are have to match the needs of the individual student. Schools that use inclusive practices are invested in having students with disabilities be successful in the general education classroom. There’s no sense that these students are better served somewhere else. I think that feeling of community—coupled with the appropriate services for children in need—promotes a culture of safety and success. There is also research that supports inclusive practices for students no matter the intensity of their disability. Q. You recently held a town hall meeting, “Keeping Students Safe, Keeping Special Education Strong,” to discuss the impact of gun violence on special education. Why did you approach the issue of school shootings from that angle? Katzman: When a school shooting happens, we often see tremendous pushback on inclusive special education policies and practices. People think that students with disabilities are the ones committing these crimes. They are not. Research has found that less than 1 percent of mass shootings are carried out by people with serious mental illness. So, as a group, we talked about how we can continue to make the case that inclusive practices keep students safe. We discussed how students with disabilities were not the perpetrators of these crimes—they are often the victims. And, personally, I wanted people to find ways to stay in touch and support each other in these efforts because the issue of gun violence in schools does not seem to be going away anytime soon. Q: How did your tenure as assistant superintendent of special education in Newark, New Jersey, shape your perspective on the issue of school violence? Katzman: It really made the issue of school violence a personal one. As the head of a special education department, I had psychologists and counselors on my staff, so I was the person who would get the call if a student had been shot. Five students were killed during my time in Newark. These deaths still haunt me. But in working with districts from across the country, I know that I am not alone; special education leaders deal with the impact of school violence all the time. Q: Schools often roll back inclusive practices in the wake of a school shooting in the name of increasing school safety. Why do you think this approach is misguided? Katzman: Pushing back on inclusive practices doesn’t make anyone safer. Pulling students with disabilities or behavioral issues out of the general education classroom sends the message that those students are dangerous. They are not. They need support, which is better delivered in a general education setting with the student’s peers. And more importantly, we have to realize that there’s a mismatch between who is committing school shootings and who is targeted by harsher disciplinary policies. School shooters are often young white males; students suspended in the wake of these shootings are often students of color. Q. So how do you make the case for inclusive practices at a time when people want to crack down on school violence? Katzman: I think we have to be clear that students with disabilities are not to blame for school shootings. Access to guns is to blame. And until we begin to figure out how to deal with that issue, we are going to continue to see tragedies like those at Parkland, Sandy Hook, Santa Fe, and many others. I think everyone wants to reduce school violence—people just disagree about what they think will work. But I continue to believe that one of the solutions to school violence is to make students feel welcome, feel valued, and to keep them engaged and learning in community alongside their peers. Inclusive school practices have to be part of the solution.